Well, any book on France catches my eye, whether fiction or non-fiction, I grab them all with greedy passion. However, maybe I'll be sorry I found this one at my local library. 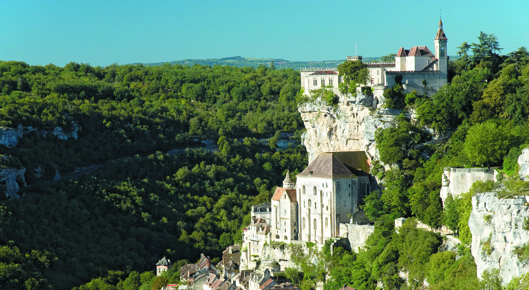 I'm preparing for a trip in a month where I am going to drive around the Dordogne region of France, probably the last region I haven't explored. 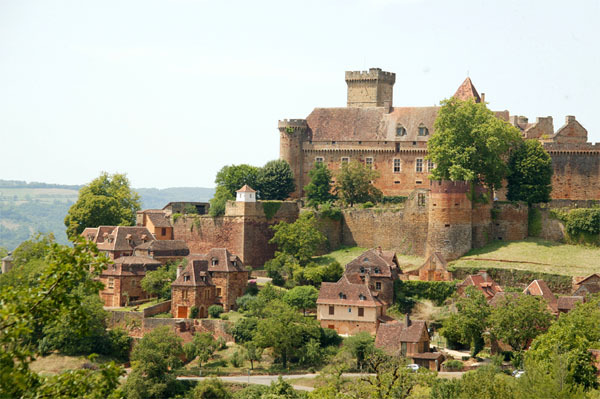 Well, not just the Dordogne - I will then head to the South of France via Toulouse and Carcassone, before swinging up to Andorra and Northern Spain. 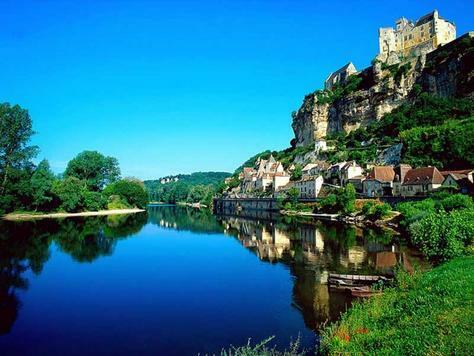 This is the Dordogne I hope to discover. The February weather may be dark and dismal, but the locals provide plenty of colour as "a newly installed Englishman" in rural southern France copes with odd neighbors (a secretive doctor, a reclusive Dutch woman, a goat-breeding English alcoholic) and odder fatal accidents in Louis Sanders's engaging debut, Death in the Dordogne, translated by Adriana Hunter. The genial narrator, lacking anything better to do, busies himself with investigating, and he turns up old grudges that lead to new crimes in the first of a series. 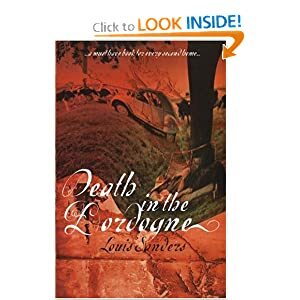 I've since discovered Louis Sanders is an editor at a publishing house and he now lives in rural France in the Dordogne with his English wife. I figure the reason he wrote such a bleak tale of the Dordogne is that it is already full of the English and he wants to stop the influx! Maybe I can track him down and ask him. He's supposed to be writing a series, the lucky dog!